Khaled Koubaa is the founder of the Arab World Internet Institute a non-profit, non-governmental regional organisation committed to independent research on the Internet in the Arab World. He is also an independent ICT consultant working for the nonprofit sector in Tunisia and Arab and African region. He provides training and one-on-one coaching for organisations and corporate executives on how to choose and implement new information systems and strategies. Mr Koubaa entered the Internet landscape in 1997. He has been involved with Internet Society since 2005, and he participates actively within WSIS structures. He founded the Internet Society chapter in Tunisia and serves as president. He is assisting in the creation of the Arab Internet Societies. 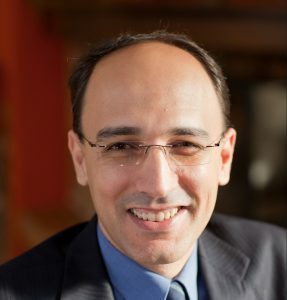 He is regularly at the ICANN meeting as the Tunisian At-Large Structure and many other events related to the Internet. He was appointed to represent African region in the ICANN Nomination Committee. He also serves as one of Public Interest Registrys (PIR) Advisory Council members. Mr Koubaa earned his Bachelor's degree in management from High School of Commerce, Tunisia and a Masters degree in electronic commerce from the High School of Electronic Commerce. He has also completed an Internet Governance Capacity Building Program with the Diplo Foundation.